This book provides a candidate entry explanation for partisan polarization in Congress. Danielle M. Thomsen draws on quantitative data to show that ideological moderates are less likely to run for and remain in Congress than those at the extremes. The book introduces a party fit argument for why moderates have opted out of congressional politics. It suggests that the personal and professional benefits of congressional service have diminished for liberal Republicans and conservative Democrats as the parties have drifted apart. Although the political center has long been deemed a coveted position in the legislature, it is now a lonely and lowly place to be. 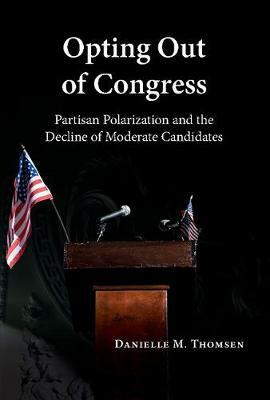 Opting Out of Congress argues that partisan polarization is unlikely to diminish if ideological moderates do not run for office, and reformers who seek to restore bipartisanship in Congress must consider how to encourage moderates to launch congressional candidacies.